Eye specialists at Cabarrus Eye Center of Concord, North Carolina are improving the outlook for the future, one pair of eyes at a time. Trusted, experienced and knowledgeable eye doctors offer a wide range of vision services and products. Patients of all ages are seeing clearer after a visit to the Cabarrus Eye Center. At Cabarrus Eye Center, eye doctors use state-of-the-art equipment to screen and evaluate the vision of their patients. Whether checking a child’s vision in preparation for school or determining the presence of cataracts in an adult, these eye specialists can be trusted to perform a comprehensive evaluation. These Concord, North Carolina eye specialists can also evaluate patients for glaucoma, macular degeneration, problems involving the retina, adult strabismus and pediatric eye disorders. Other disorders or problems can also be identified and treated by Cabarrus Eye Center doctors. Cabarrus Eye Center eye specialists are board certified and experts in their field. With many years of experience, they can treat any eye problem. Treatments for glaucoma, retinal disorders, pediatric eye disorders and cosmetic enhancement are all part of the services offered at the eye center. In addition, surgery to remove cataracts, implant lenses, address more complicated cases of glaucoma and retinal disorders can be performed by the best eye specialists. Laser and Lask vision correction procedures are popular among Concord, North Carolina residents who want to leave glasses and contact lenses behind. Even cosmetic treatments are available to enhance the appearance of the eye and surrounding tissue. Cabarrus Eye Center in Concord, North Carolina offers one-stop appointment to address your vision problems. With a boutique of eyewear and contact lens options on site, you can go straight from the eye doctors’ office to finding the perfect frames to suit your look and personality. The best eye center is stocked with the latest styles in frames from top designers. In addition, specialty glasses for sports and active living can be filled with your prescription. Don’t forget to have your prescription put in sunglasses for optimal eye protection and clear vision throughout the year. Top opticians can fill even the most unique prescriptions. 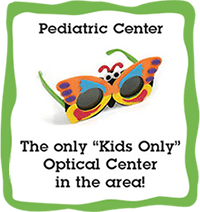 The Cabarrus Eye Center in Concord, North Carolina care for the entire family. From small children being evaluated for possible pediatric vision problems to senior citizens wanting to restore their vision, these eye doctors take the time to evaluate and treat each patient and his or her needs. Dedicated eye doctors want their patients to experience better vision and an improved quality of life. Let the best eye specialists in Concord, North Carolina care for the vision needs of your family today. Call to make an appointment at the Cabarrus Eye Center today. 704-782-1127.